Do you think you’ve got more Top Times in you??? The Black Sands Swim Squad is hosting a Time Trials on December 16th and 17th 2017 and is inviting everyone to come on out to support the event. Swimmers from all clubs are invited to participate. St Vincent and the Grenadines swimmer Alexander Joachim competed at 2017 Thunderbolts May Grand Prix Swimming Championships held at the Canada Games Complex in Thunder Bay, Ontario, Canada from May 26th to 28th, 2017. The 26th Annual OECS Swimming Championships were hosted by the St. Vincent and the Grenadines Swimming Federation at the Shrewsbury Aquatic Centre (SAC) for the first time from November 10th to 13th inclusive. This year the Championships featured over 180 swimmers from Antigua & Barbuda, British Virgin Islands, Grenada, Martinique, St Lucia and SVG. St Martin (French) and Sint Maarten (Dutch) also competed this year as guest team. This is the first year Martinique entered as a competitive team. With all of these participants, the result was the largest ever OECS Swimming Championships. 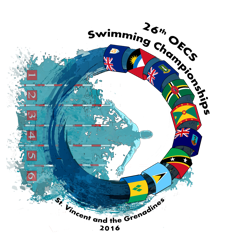 Promo Video for the 26th OECS Swimming Championships, November 10th -13th, 2016. The SVGSF is pleased to confirm the following athletes have been selected to represent St Vincent and the Grenadines at the OECS Swimming Championships to be held in St Vincent, Thursday, November 10th to Sunday November 13th, 2016.